we love when brides bring a brooch or small something that has been passed onto them from a mother, grandmother, or friend. 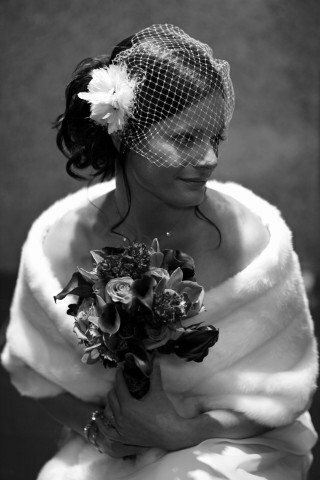 it means they trust us to create a stunning heirloom piece that will mean a great deal to them. using these pieces creates a personalized design that no one else will ever have; it’s special and unique! 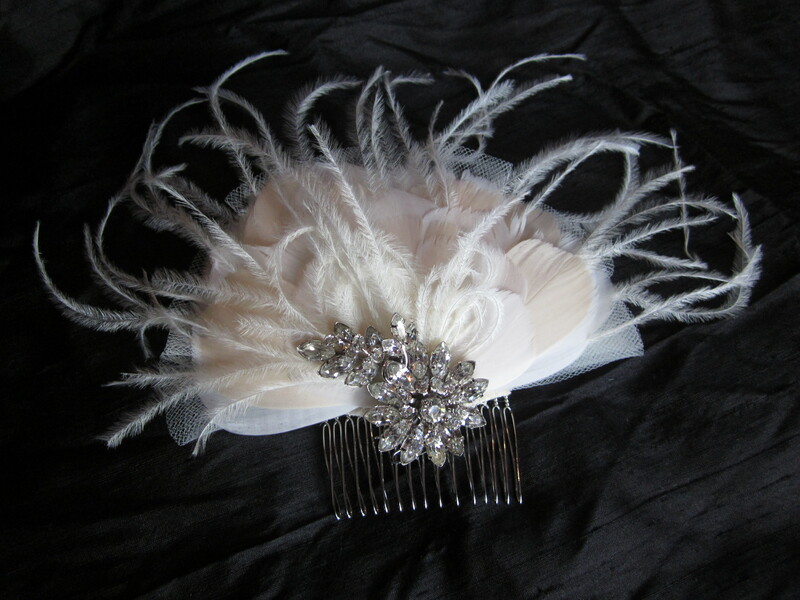 a gorgeous vintage brooch is not only a special momento for the bride, but it’s a fabulous one of a kind look. who doesn’t love to sparkle??? 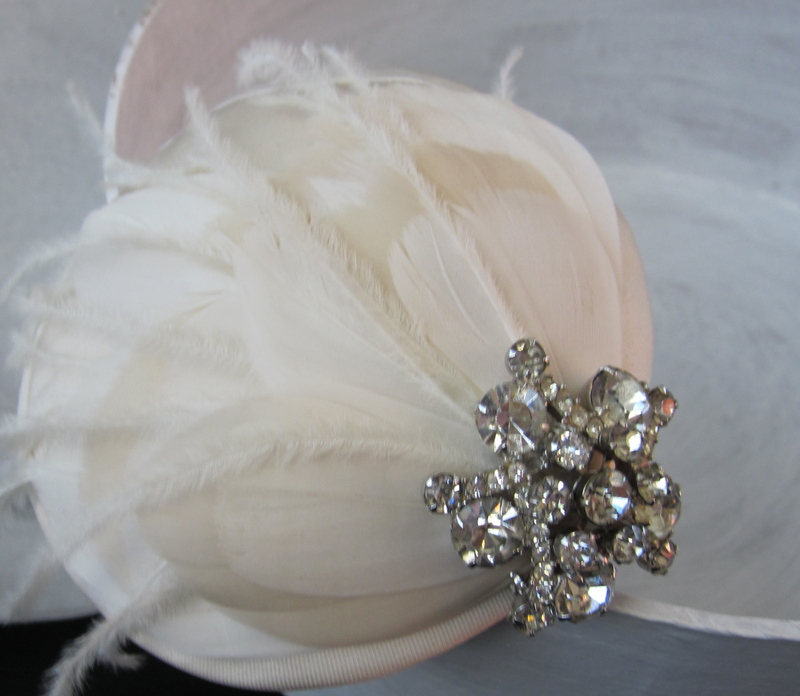 we love doing a silk satin mini-hat, draped with luscious feathers and topped with the perfect sparkling something. 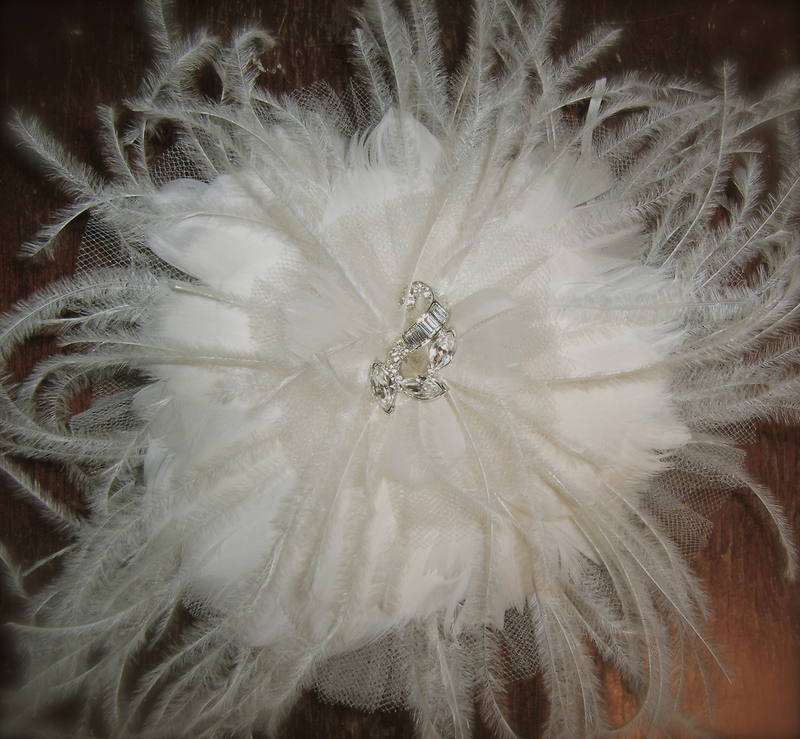 or our signature feather flower, with a gorgeous brooch nestled within the petals. so beautiful! soft, feminine, and fabulous. who wouldn’t heart them? or go softer and subtler, while still wowing them… lena, below, opted for a more natural look of 3 feathered blooms nestles together in her tresses. each was detailed with her signature purple hue in the center, adding depth and a truly unique, one of a kind look for her big day.